The blends that I have made is design to incorporate in the healing of the mind / body /spirit. the oil mixtures. The blends can be used by adding to your massage lotions, creams and oils, pulse points and oil diffusers. balances the emotions and on the mind /body/spirit. the higher self while clearing the mind. effect and helps brighten the mood. and soothing you as it is calming and promotes restful sleep. and cheering to the spirit. distrust, emotional guilt, frustrations and many more emotions that the oils within are known for doing. balancing and brightening the moods that us goddesses get into at times. Great blend for meditation or when you need that focus and inspired insight. lock back in the refrigerator to extend the life of the base oil. The blends that I have made are designed to be used externally only. If you are allergic or sensitive to a plant, fruit, or herb you may be allergic or sensitive to the essential oil of that plant. professional and Certified Aromatherapist before ingesting any essential oils. risk for any reactions, allergies or negative results, which may result from the use of our products. information and the release of any liabilities. 18 years of age and takes all the responsibilities when purchasing and using our products. within each mixture is used for. 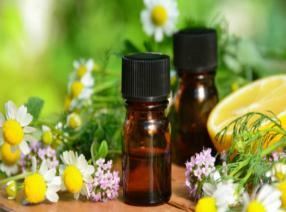 Information was received from the manufacture of essential oils and through the websites.